Don’t want to choose between churros or pumpkin bread? 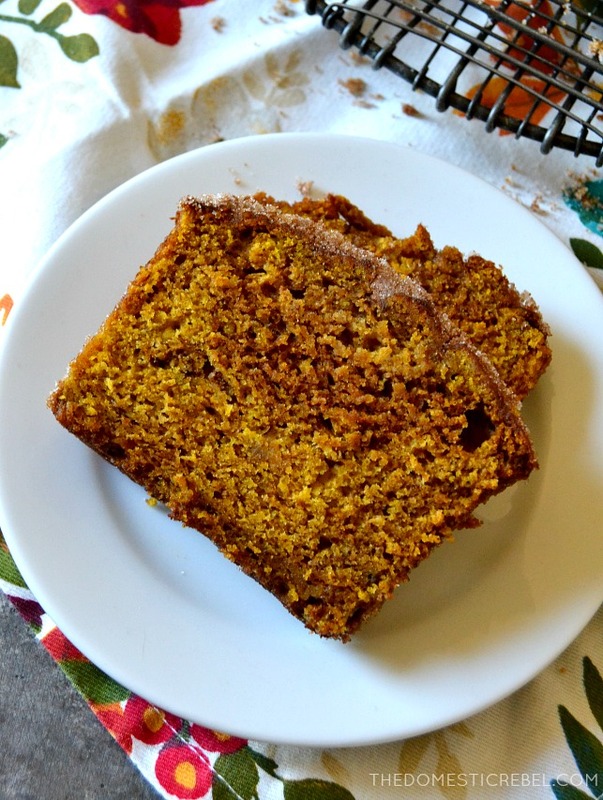 Try my Pumpkin Churro Bread – the best of both worlds! 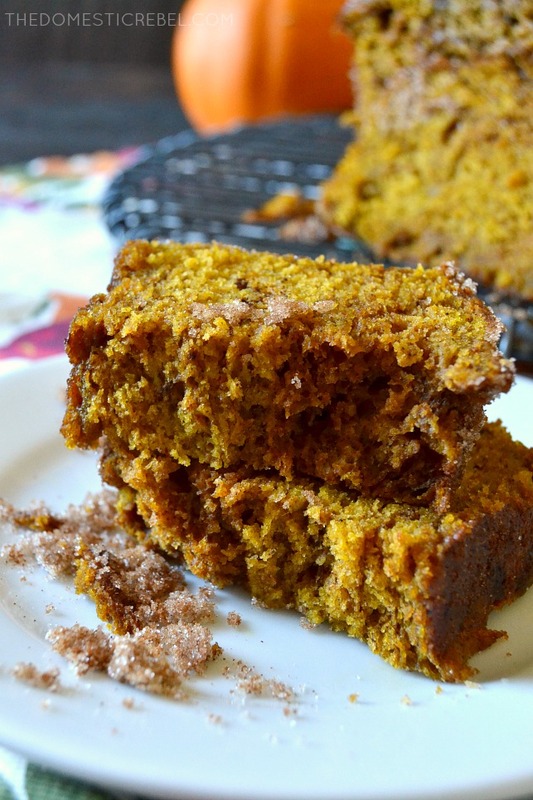 Moist, fluffy pumpkin bread is coated with cinnamon and sugar for a sugary, crisp crust that is reminiscent of a piping hot churro! Fawinter baking is my absolute favorite. Is it yours? Oh – and fawinter means fall + winter baking. 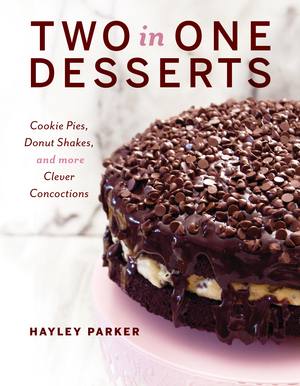 I didn’t want to choose between pumpkin and peppermint, so I just coined this dandy word so people know I’m A) insane, and B) serious about my love of holiday baking. But this time of year – when the air gets that little crisp chill, when the leaves dance until they fall to the ground and crunch underneath our boots – is so magical. It just feels good after a particularly scorching hot summer, you know? Anyway, cinnamon and pumpkin go hand-in-hand so you know this mashup had to happen. And I felt particularly good that I seemed to have created such a damn good bread with my own crazy mind. 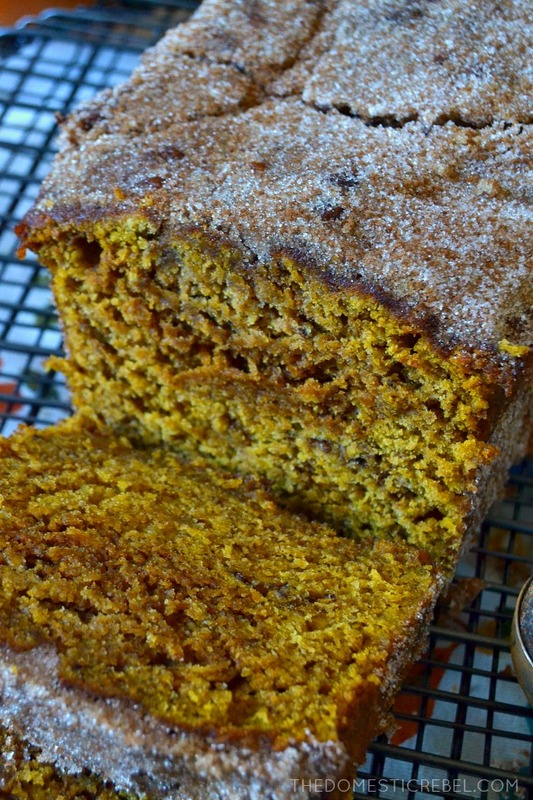 Basically, you take my Best Pumpkin Bread recipe and bake it up nice and pretty. Wait it cool for a couple minutes, then carefully take it out of the pan and dunk that sucker in a pool of melted butter. I like using a pastry brush to make sure it gets into every crack and crevice of the bread’s surface. Then take your buttery bread and dredge the living daylights out of it in a huge bowl of cinnamon and sugar. Spoon cinnamon sugar from the bottom of the bowl to pour over the top – almost like you’re basting it. This ensures there’s a thick coating of the cinnamon sugar, which – let’s face it – is the best part. All that’s left to do is to slice it up and dig in! 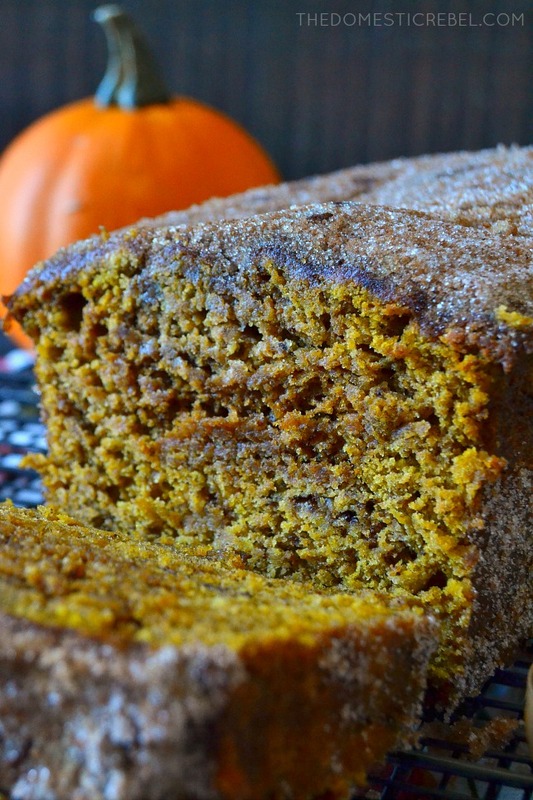 This Churro Pumpkin Bread is fantastic! 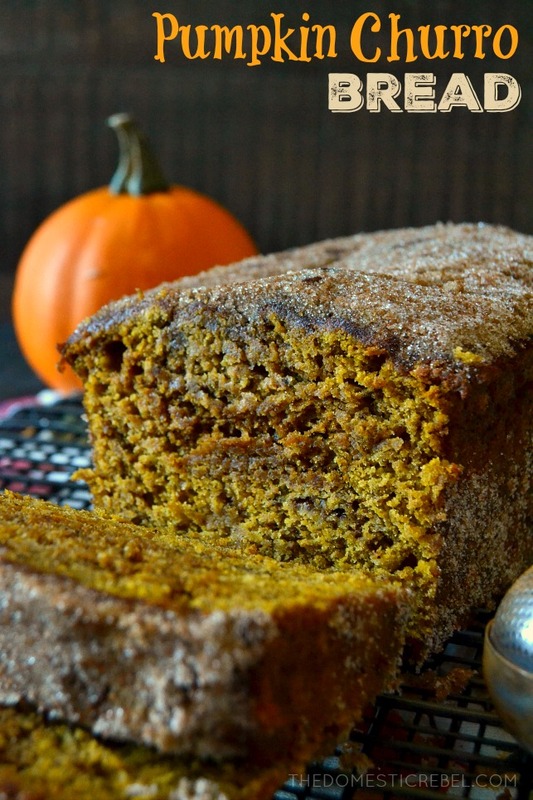 A combination between crisp and crunchy cinnamon churros and a moist and fluffy pumpkin bread! Preheat your oven to 350 degrees F. Liberally grease an 8" or 9" loaf pan with cooking spray. Set aside. In a large bowl, cream the butter and brown sugar together with an electric mixer, about 2 minutes, until fluffy and light. Beat in the pumpkin puree, followed by the eggs, one at a time. Add in the spices, baking powder, baking soda, salt, and flour and hand-stir the dry ingredients in, careful not to overmix. Over-mixing leads to tough bread that sinks in the middle. Mixture should still see streaks of white from the flour. 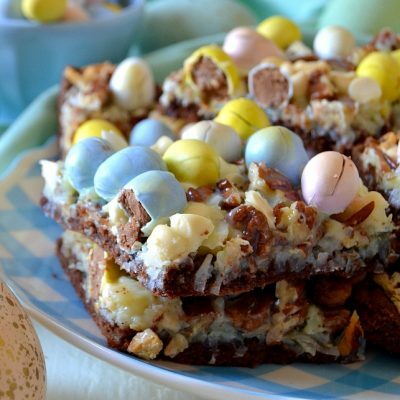 Spread the batter into the prepared pan and bake for approximately 45-55 minutes or until a toothpick inserted near the center comes out clean or with moist, not wet, crumbs. NOTE: the type of pan you use may increase your baking time. 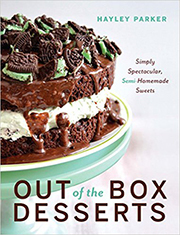 I like using foil pans, but glass pans or dark pans may result in a longer baking time. Cool the bread in the pan for about 20 minutes. While bread cools, prepare your churro coating. Pour the butter into a shallow bowl, and in another shallow bowl, combine the churro coating: sugar, brown sugar, and cinnamon until blended. Gently and carefully remove the bread from the pan and place in the shallow bowl of the butter. Using a pastry brush, brush the butter over the sides and top of the bread as if you were basting it. Make sure every square inch of the bread's surface is coated in butter! Using two spatulas to gently lift the bread from the butter and place in the shallow bowl of cinnamon sugar. Dredge the bread in the cinnamon sugar mixture, coating the sides and the top of the bread until fully coated. Let set and cool in the cinnamon sugar mixture before slicing and serving. 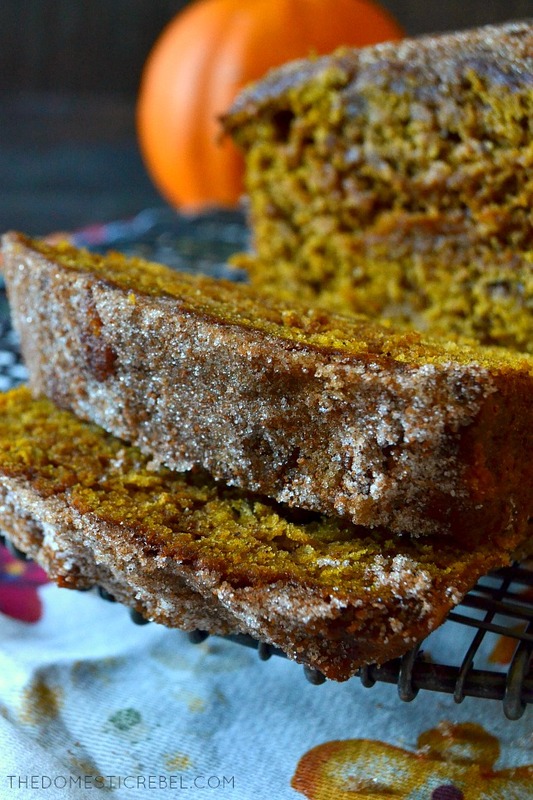 Moist, tender, fluffy pumpkin spice bread coated in a crisp, thick layer of cinnamon sugar goodness!